SSL is one of three companies qualified to compete for Department of Defense business under the SSPEDI contract. Here's what SSL, a Maxar Technologies company (formerly MacDonald, Dettwiler and Associates Ltd.) (NYSE: MAXR) (TSX: MAXR), provider of satellites and spacecraft systems announced. This new contract is one of a number of new programs with great potential in SSL’s increasing U.S. government portfolio. The Department of Defense's contract is entitled Small Spacecraft Prototyping Engineering Development and Integration — Space Solutions (SSPEDI) which is managed by NASA's Ames Research Center in California. This contract in under an interagency agreement with the Department of Defense's Space Rapid Capabilities Office. The SSPEDI concept establishes a rapid and flexible method for the Department of Defense’s Space Rapid Capabilities Office to acquire commercially-developed solutions for small to medium spacecraft and related systems from a pool of pre-qualified candidates. As one of the awardees, SSL is eligible to compete for multiple future awards over the five-year ordering period of the contract, up to a cumulative value of $750 million. 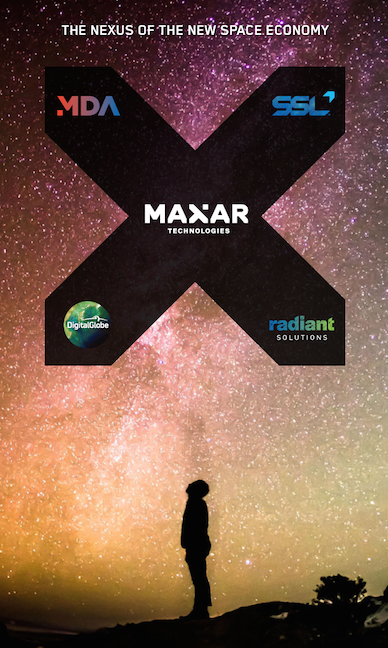 To produce strong positive results, SSL is combining energies with Maxar Technologies, and will closely partner with Maxar’s geospatial insights company, Radiant Solutions. Radiant will study next-generation systems for Intelligence, Surveillance, and Reconnaissance (ISR) and contribute its world-class mission engineering expertise to the company’s solutions. Richard White, president of SSL Government Systems said that they continue to gain momentum in growing the pipeline for U.S. government DoD and civil space programs. SSL's focus on small form-factor satellites for government applications is combined with a full suite of powerful solutions for space mission assurance, space infrastructure, and enhanced ISR missions. Contracting with NASA’s Jet Propulsion Laboratory to design and build critical equipment for a spacecraft that will explore Europa, an icy moon of Jupiter. SSL's new technologies, tools, and its commercial focus all combine to develop innovative solutions such as its geosynchronous satellite platform, and commercial production capability to design and build small satellites for a broad range of applications, including high resolution remote sensing and communications. The company also partners with MDA, DigitalGlobe and Radiant Solutions to provide end-to-end solutions, mission systems engineering, advanced signal and imagery processing, multi-intelligence analytics, and ground systems that simplify and speed decision-making cycles.